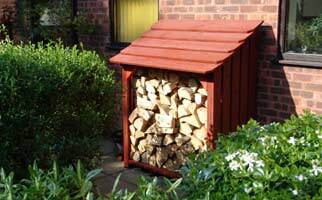 We specialise in designing and building you a log store that fits exactly into the space you have available in the style that suits the place where it is to be located. 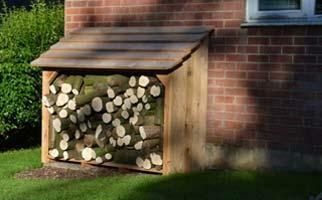 It could have any number of bays, although units with one bay and two bays are the most popular. 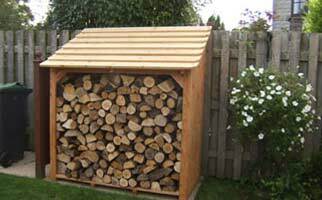 The advantage of two bays is that you could be using one bay while filling the other or letting a second batch dry properly. 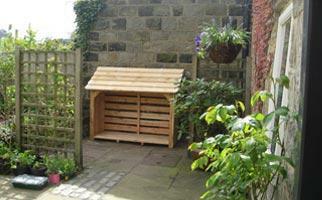 Three or more bays give additional capacity. 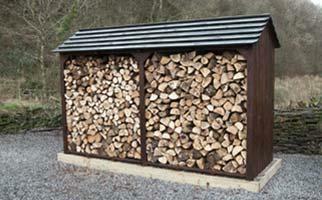 These are all made using timber we have grown in our forest on the foothills of the Berwyn Mountains in Wales. 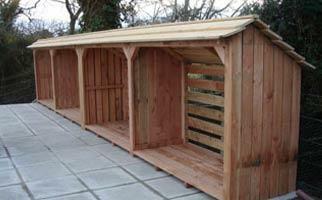 The base, sides and back are made of Douglas fir – a durable wood with a lovely pink colour. 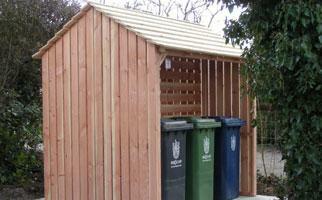 The roof is made of Norway spruce. 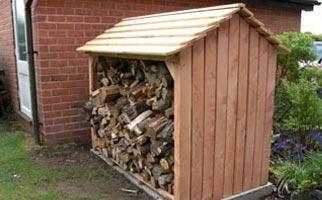 Your log store Style A, Style B to Style S can be fitted with an optional kindling shelf in one or more bays. You could also fit doors, if required. 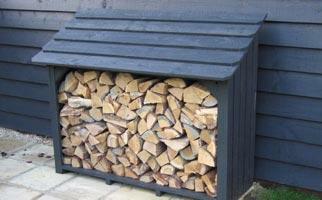 Click the picture or Style to see how we might produce a log store design for you. Edistone makes extensive use of computer design systems to create it log store plans. 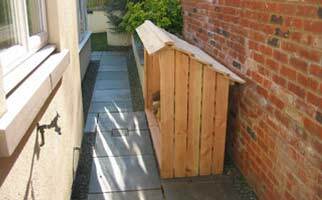 With a wide variety of designs, this is essential to ensure that we make the exact pattern and size that our customers have asked us to build. 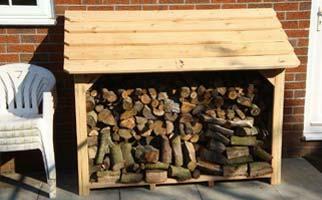 This also helps to ensure that we ship out our log stores on time every time without fail. 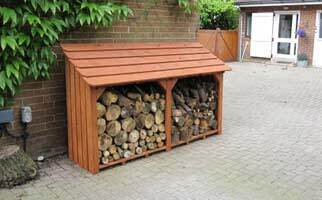 When you ask us to quote for a particular design with specific measurements, we go through a preliminary computer-based design process to work out the total dimensions, including roof overhangs and openings heights and estimates the volume of logs that can be stored. We also calculate the price. If you were to give us a call, this whole process can be completed while you are on the phone so you have all the information at your finger-tips to decide how you wish to proceed. Even if you request a quotation online, we try to get a quotation to you before the end of the day. After you have placed your order, we use our own computer-based design method to produce detailed design plans. These provide the dimensions and angles of each piece of timber and calculate the spacings used to assemble all of the panels. 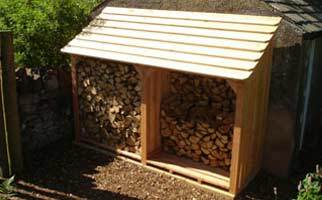 This ensures that all of the panels fit together first time and makes it easy for you to assemble the log store when it arrives. 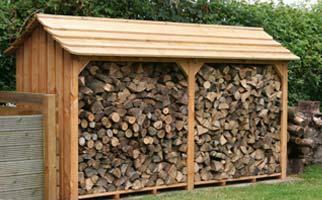 We will be happy to design and build any type of log store pattern that you request – if it will fit into our workshop.